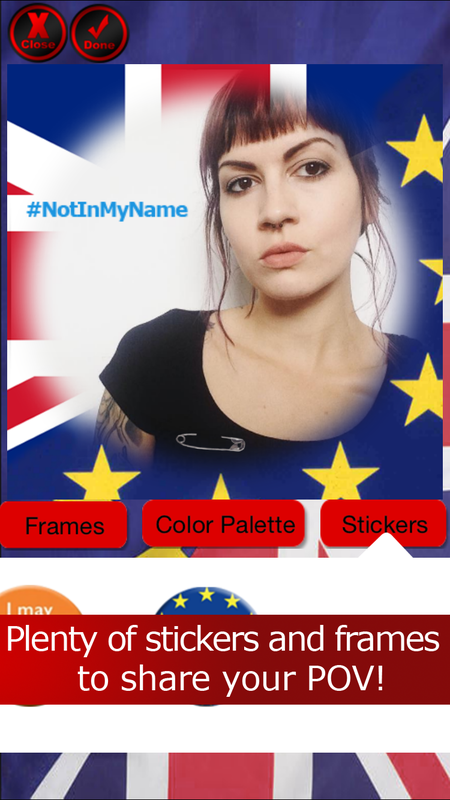 Brexit Stickers - Are EU In or Out? Posted in: Utility. 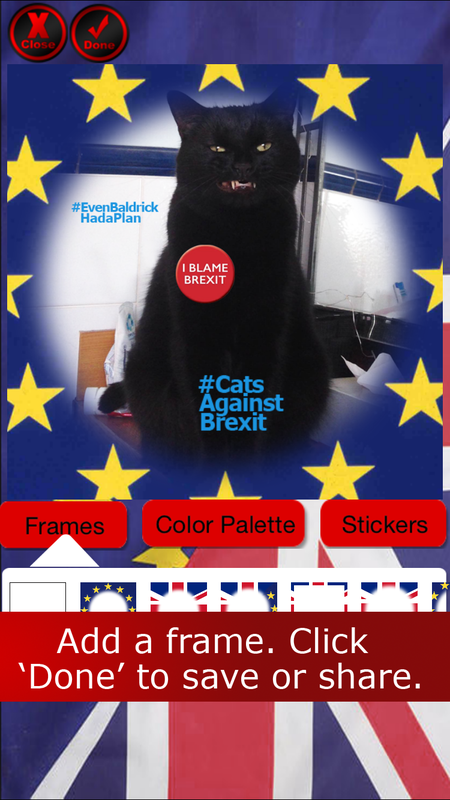 Tagged: app, blamebrexit, bremain, brexit, cats against brexit, stickers. 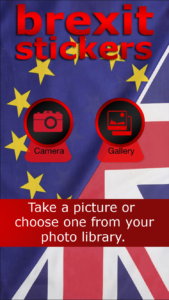 Brexit, are EU in or out? 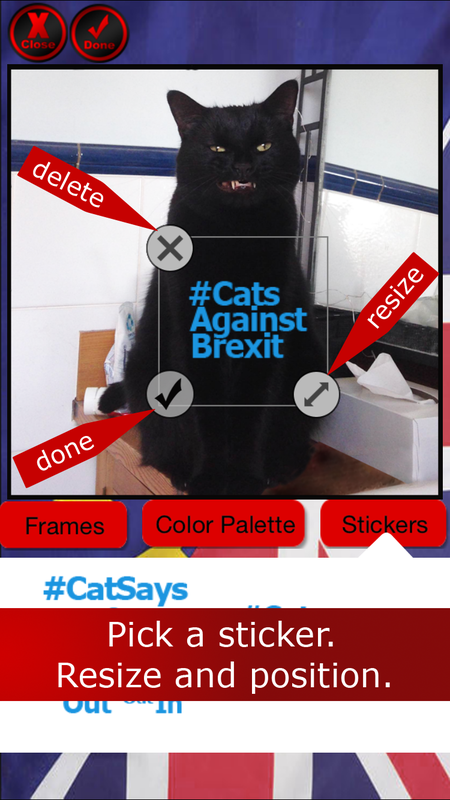 Add stickers to your pics to show your pov. Masses of resizable stickers and frames, whatever your opinion. Share on Facebook and Twitter or save to photo library. For a limited time only 0.99 GBP and ad free!